You also may sign up to receive the appointed readings as a daily text or email message (begins January 1, 2018) or subscribe to our digital calendar. Daily email: Go to remind.com/join/WordofGod3 and complete the brief sign-up form. Digital Calendar: For those using a digital calendar (Google Calendar, Outlook/Office 365, iCal or others), we have created a calendar subscription link to import the daily readings directly into your personal calendar. 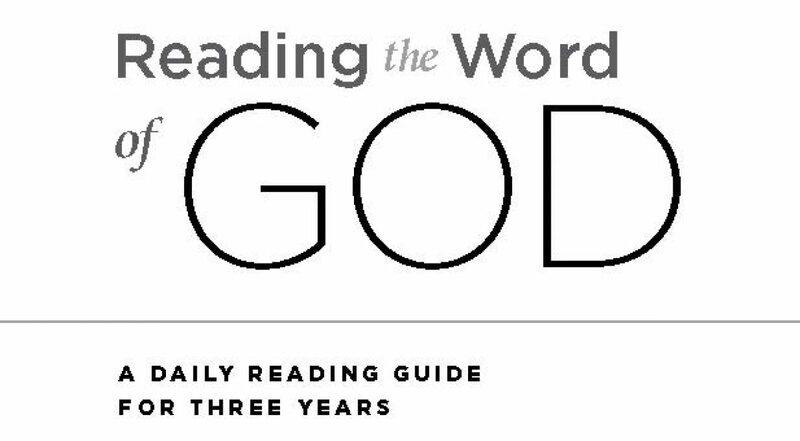 This digital calendar includes the list of daily readings, with a link to the Sunday weekly reading provided in the “notes” section of that day’s calendar event. Subscribe to the digital calendar at https://airtable.com/shroaqZI8ufceBDJx/iCal?timeZone=America%2FNew_York&userLocale=en.